Craig Beaton was one of 23 people injured when an OC Transpo double-decker bus slammed into a shelter overhang at Westboro station earlier this month. It started out as a bus ride like any other, Craig Beaton says. 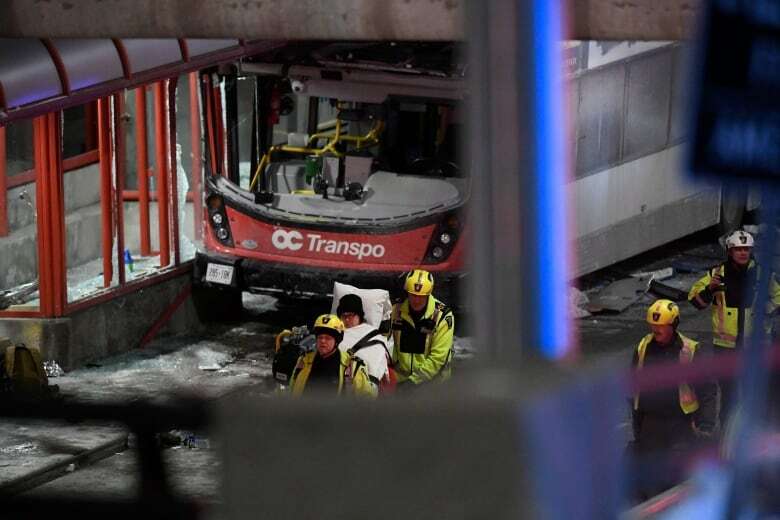 The 30-year-old was one of dozens of OC Transpo passengers heading home to Kanata on Jan. 11 when their double-decker slammed into a shelter at Westboro station. Three people were killed in the Transitway crash and 23 more were injured, including Beaton, who'd picked out a seat on the top level of the bus, about halfway back — the same side that struck the shelter's overhang. "I was just sitting there, had my headphones in, watching videos on YouTube. It seemed like everything was normal — a normal day," he told CBC News on Friday, from his recovery room at the Ottawa Hospital's Civic campus. "And then there was a big jolt." The jolt was followed by the bus smashing into the station, Beaton said. The next thing he knew, he was pinned between the seats, his fellow passengers yelling in agony. "There was nothing I could do," Beaton said. "I could not move at all." Beaton said he was in shock and sweating profusely. "I was just trying to concentrate on breathing, on not passing out. My legs were in so much pain," Beaton said. "I was scared. I thought I was going to lose my legs due to the lack of circulation." When first responders arrived, Beaton said, they started trying to cut through the benches to free passengers. Eventually he was freed, placed in an ambulance and rushed to the emergency room. Doctors told him he'd broken two bones in his left leg and one in his right. 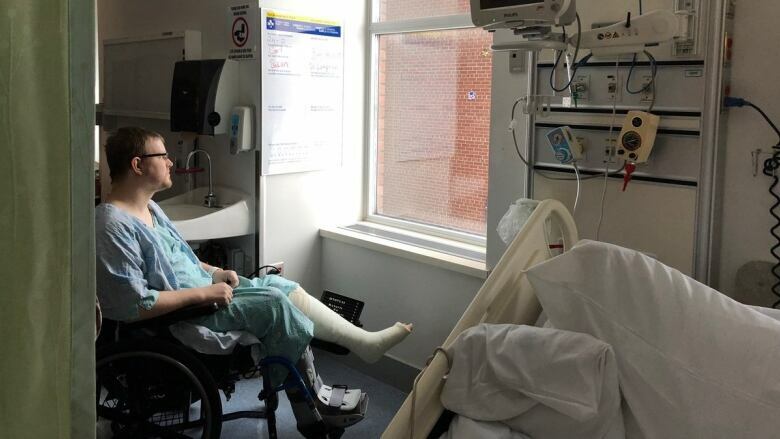 One week later, both of his legs are still in casts — and Beaton said he has no idea how long his recovery will take. "I walk a little bit more every day. So I'm getting there," Beaton said. "I'm still here, so I'm thankful for that." While his physical recovery is slowly progressing, Beaton said his emotional recovery remains "frustrating." There are days, he said, where he'll be reading the news or working with the physiotherapist and he'll just break down. The Ottawa Police Service, the Transportation Safety Board of Canada and various other agencies are now investigating the rush-hour crash. When asked if he noticed anything wrong before the collision, Beaton said nothing stood out. "Everything," he said, "just seemed like a normal day."